Hindus have two great epics Ramayana and Mahabharata; of these two Ramayana is older and Mahabharata is larger. There is nothing in the world that is not touched by Veda Vyasa, author of Mahabharata. Ramayana is famous for its simplicity and superb story. A comparison with other great epics of the old world will give an idea of their enormous size. Professor Monier Williams says, “ Ramayana is undoubtedly one of the greatest treasure in Sanskrit literature. The classical purity, clearness and simplicity of its style, the exquisite touches of true poetic feeing with which it abounds, its graphic descriptions of heroic incidents, nature’s grandest scenes, the deep acquaintance it displays with the conflicting workings and most refined emotions of the human heart, all entitle it to rank among the most beautiful compositions that appeared at any period or any country”. “There are many graphical passages in the Ramayana and Mahabharata, which for beauty of description cannot be surpassed by anything in Homer,… that the the diction f Indian epics is more polished, regular and cultivated, and the language altogether in a more advanced stage of development than that of Homer”. “The battle fields of the Ramayana and Mahabharata are not made barbarous by wanton cruelties, and the description of Ayodhya and Lanka imply far greater luxury refinement than those of Sparta and Troy. Ramayana and Mahabharata rise above the Homeric poems also in the fact that a deep religious meaning appears to underlie all the narrative, and that the wildest allegory may be intended to conceal a sublime moral, symbolizing conflict between good and evil, teaching hopelessness of victory in so terrible a contest with purity of souls, self-abnegation and the subjugation of passions. Some critics hold that the Ramayana is the original of Iliad that the latter is only an adaptation of the former to the local circumstances of Greece; that Homer’s description of the Trojan war is merely a mythological account of the invasion of Lanka by Ram Chandra. The main plot, of course, is the same. Troy stands for Lanka (Tabropane), Sparta for Ayodhya, Menelaus for Rama, Paris for Ravana, Hector for Indrajit and Vibhishan; Helen for Sita, Agamemnon for Sugriva, Patroclus for Lakshmana, Nestor for Jambavan. Achilles is a mixture of Arjuna, Bhima and Lakshmana. Anterior to Homer, Greek literature has no existence, even no name, and it is difficult to believe that, without any previous cultivation whatever, some of the highest and the noblest work in the whole range of literature should come into existence. The English literature did not begin with Milton, nor the Roman with Virgil; nor does the Sanskrit with Valmiki or Vyasa, as the Greek does with Homer. Schlegel calls ‘Ramayana the noblest of epics’. 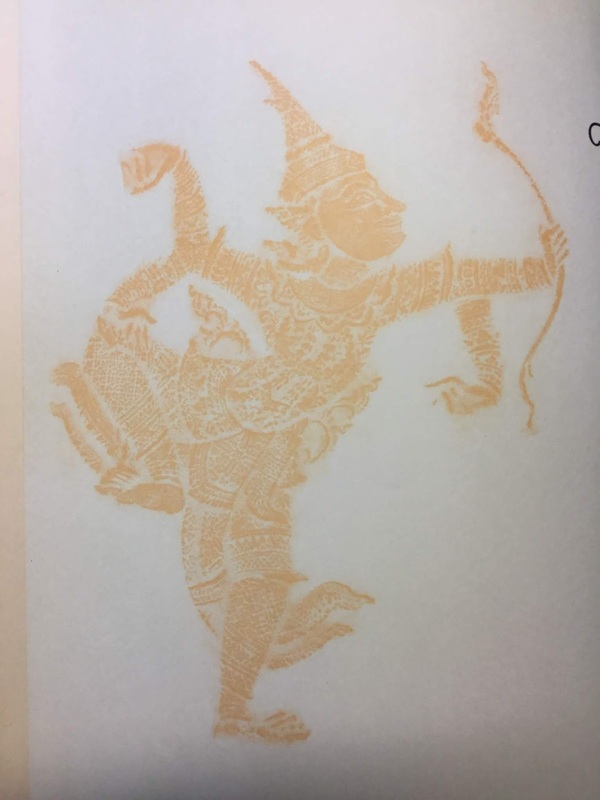 “The Ramayana is an epic poem on the story of Rama, which, in unity of action, magnificence of imagery and elegance of style far surpasses the learned and elaborate work of Nonnus” . Interesting feature. Those who read our Ramayana and Mahabharata , and the Homeric epics are bound to notice many similarities . But it may not be possible to establish one to one correspondence between our characters and the Greek figures. Certain themes are surely common, but not the same. The Greek epics seem to be a mix up of the themes and characters of our Ramayana and Mahabharata. There must have been some pre-historic incident registered in the memory of the human race and different cultures have dealt with it in different manner. The Iliad is an explanation of what happened due to the wrath of Achilles. and the will of Zeus was moving towards its end. Though the Trojan war happened due to the abduction of Helen, she was not innocent , after all. Sita is a totally sublime character and Valmiki says he is singing the great story of Sita: Sitaya charitam mahat. Western civilization can never conceive of such a character. The Mahabharata is more complex. But wrath is certainly there! We have the wrath of Draupadi, expressed as her oath. We have the wrath of Bhima. But ultimately it is the wrath of Kunti, at the disgrace shown to Draupadi in the Raja Sabha that clinches the issue and prompts the war. And after the great war we have the wrath of Gandhari, which makes her curse the Yadu clan. Thus, both the Greek and Indian epics record how the victors too suffered as a result of the war! In deed, there is no victor, but Fate! This is the lesson of all wars in all of history! Compared to the Iliad, the Odyssey dealing with the adventures of Odysseus appears to be minor, though it is not without its moments of intense human drama.It can me compared to the episodes we witness during the 13 years of the forest dwelling of the Pandavas. And we can see some broad parallels. We have so many places associated with the Ramayana and Mahabharata in India. Archaeologists have located Troy ( in fact 7 settlements there, belonging to different epochs) which shows that the epics are not pure imagination. Our scientists have also located the old Dwaraka under the sea, and many settlements on the banks of the ancient Saraswati river as revealed in our Itihasa; but our wily politicians and pseudo-secular press are not talking about it openly! All this historical knowledge lies buried due to human idiocy and hidden agendas driven by anti-Indian forces. The Greek epics are entertaining, our Itihasas edify and elevate. Deep study of our Itihasa transforms our character and consciousness. This certainly cannot be said of the Greek epics, whatever may be their poetic significance.